One ordinary Friday afternoon, T, my husband’s oldest sister, suddenly appeared in La Yacata. A co-worker in Nebraska had reported her to La migra (immigration) and she had been fired from a job she had for over 10 years. 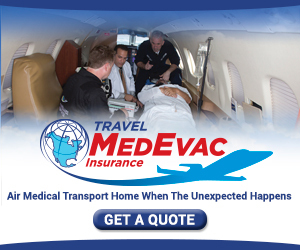 So she packed her suitcases and caught the next bus back to México, thus avoiding deportation. After a week of cleaning out her father’s house, as 3 single males do not a clean house make, and visiting Mama Vira and Mama Sofia in Cerano, both of who are in their late 80s, T started casting about a way to make a living. 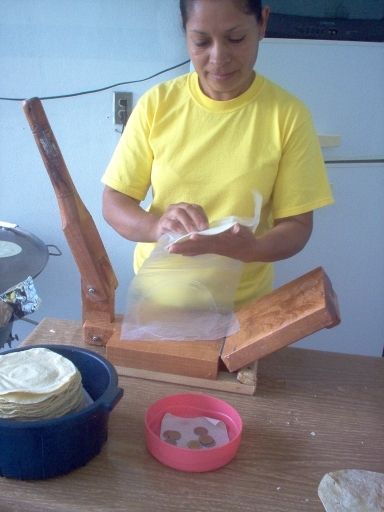 She decided that making tortillas would be a steady source of income and spent several days looking for a suitable local (commercial space). Finally finding one just off of Morelos (the main street on the closer part of town to La Yacata) she set about cleaning it up and procuring the items she would need to go into business. She bought a comal (large gas heated circular griddle) and moved the refrigerator from her father’s house in La Yacata to the local. As there isn’t any electricity to run the fridge in La Yacata, this wasn’t as big a sacrifice as it might seem. Then she borrowed the glass vitrina (display case) that we had from the Crappe Shoppe (See Failing at your own business–Crappe Shoppe) and bought a scale to weigh out the tortillas, which can be sold by the kilo or the peso (for instance, a person can buy 1 kilo at 13 pesos or buy 10 pesos of tortillas–less than a kilo). She bought the paper to wrap the tortillas in and the plastic bags and a press. She also purchased a costal (grain sack) of corn and lime. The first day’s sales were good, over 100 pesos. Day 2 wasn’t so good, only 20 pesos. Day 3 was good again, nearly 70 pesos, but day 4 was terrible, not one kilo sold. T came home in tears and had herself a good cry. With all her preparations, what she had failed to prepare for was envidia (jealousy). Other ladies in town also have their own tortillerias and don’t take kindly to foreigners setting up shop. Although T had lived in Moroleón for 15 years, she had been gone for over 12, so she was deemed an interloper. I suggested she put up pictures of her mother, who was well known before her death last year (See on Life and Liberty) and maybe even my picture since I’m on my way to being just as famous as La Gringa de La Yacata. With our combined fame, perhaps she would be more accepted until she could establish her own reputation. Then there was the family discord to contend with. Her sister L also has a tortilleria, although it isn’t anywhere near where T set up shop. After the second bad day, we happened to pass L on her moto and she didn’t even nod in greeting. This made me a bit suspicious and later I asked my husband if maybe L had something to do with T’s poor sales. Of course, he didn’t know but said that his brother M had also passed that day and although he saw them (my husband and T) he did not acknowledge their existence. Both T’s father and I urged her to not despair, telling her that it takes time to attract clientele, but she has the same impatient disposition as my husband and was ready to throw in the towel after just a week. (See Failing at your own business–Taco Express). Moreover, I told her that the change from living in U.S. to México took some getting used to and she should give herself some time to readjust. I know Moroleón likes to style itself a small city, but there is no getting around the fact that it really is a two-bit town, nothing like Lincoln, NE where she had been living for more than a decade. And then there is the fact that we all live in La Yacata, which isn’t even technically a village yet, without water, sewer or electricity–talk about extreme lifestyle change. Anyway, T decided not to open the next day and go instead to see Chencha, la curandera (healer or wise woman) (See La Curandera—The first reading). She wanted to know whether she should give up or keep trying. So up early on Tuesday, she waited for her consultation. When I talked to her later, she was much calmer about things in general. She said that Chencha had told her to have patience, but that things would be slow for awhile. She told her not to invest heavily in the business right now. She said that she saw T going one day back to the U.S. but by plane. As T has never been deported, there is no impediment to her getting a tourist or work visa, provided she owns property and has the required amount of capital in the bank. Chencha also said that her sister had done something to cause T’s business to fail, thrown some sort of black magic or curse at the local (commercial space) and that this negative energy had attached itself to her. But T shouldn’t worry. This type of negativity always returned rapidly to the originator (sort of like karma). In order to speed that process up, she gave T a spray, a candle, and some soap and to come back again on Friday for the first of the 3 cleansings. T’s egg had come back salty and half rotten. (See La Curandera–A fifth reading ). When she talked with her sister M, who is still in Nebraska, M scolded her for going to see Chencha. She told T that she should leave things in God’s hands and not be cavorting with witches. When T told me this, I had to laugh over this so-called piousness from the woman who had me falsify a confirmation certificate for her daughter to complete the requirements for her quinceanera (15th birthday) mass after having failed in her attempt to bribe the priest. I told T that Chencha was a curandera (wise woman), not a witch and that she should do whatever it was that she had been told to do. Her father told her the same, having been cured of a debilitating pain in his back through Chencha’s prayers and herbs some years ago. The next day, T sold every single tortilla. There wasn’t even a kilo left to bring home for supper. The second day after the cleansing was nearly as good. However, she had a surprise visitor at her local. J, the long lost brother, stopped by and brought tamales he said were from their sister L. After he left, T threw the entire bag into the trash and washed her hands thoroughly, not being sure that the tamales weren’t poisoned or cursed. She earns about $100 pesos per day with the tortillas, which is enough to get by on and buy supplies for tomorrow’s tortillas. The same holds true for the menudo, she earns about $100 pesos profit, which in turn pays for next week’s supplies. But there are days when the bus doesn’t pass and she has to walk all the way to La Yacata after a long day, and the water has run out in the tinaco (water storage tank) so she doesn’t have water to bathe, and the gas runs out in the oven, so she has to gather leña (firewood) to heat tortillas for the afternoon meal and she despairs. These days, I stop by with an emergency chocolate ration and commensurate with her in her misery and we work on coming up with a better plan for tomorrow. What else can we do?